When the Nike Vapormax was introduced by Travis Scott in the Midnight Blue colorway back in 2017, sneakerheads were scratching their heads at the design. With multiple air bubble pods taking up the entire outsole, the shoe looked like something out of the future. As it turned out though, the shoe was extremely comfortable and became Nike's biggest competitor to the Adidas UltraBoost. Since then, the Vapormax has gotten multiple reworks and colorways, with the Vapormax 2019 being one of them. 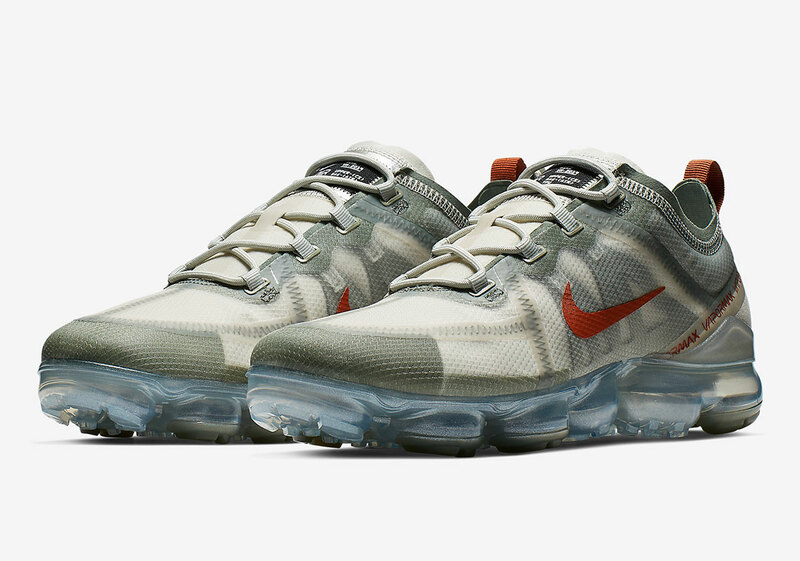 Like the Nike React Element 87, the Vapormax 2019 has a translucent upper and that trend continues on this brand new colorway dubbed "light olive." Just looking at the sneaker, we see a light olive translucent upper that offers a sleek and stylish look. Meanwhile, the upper is complimented by a red Nike swoosh. The air bubbles on the bottom are a mix of light blue and clear. Overall, it's a pretty clean colorway that fans of the Vapormax should be excited about. According to Sneaker News, these are releasing this Friday, February 15th for $190 USD. You'll be able to cop these on Nike.com as well as select retailers. Will these be a cop for you or are these a pass for now.